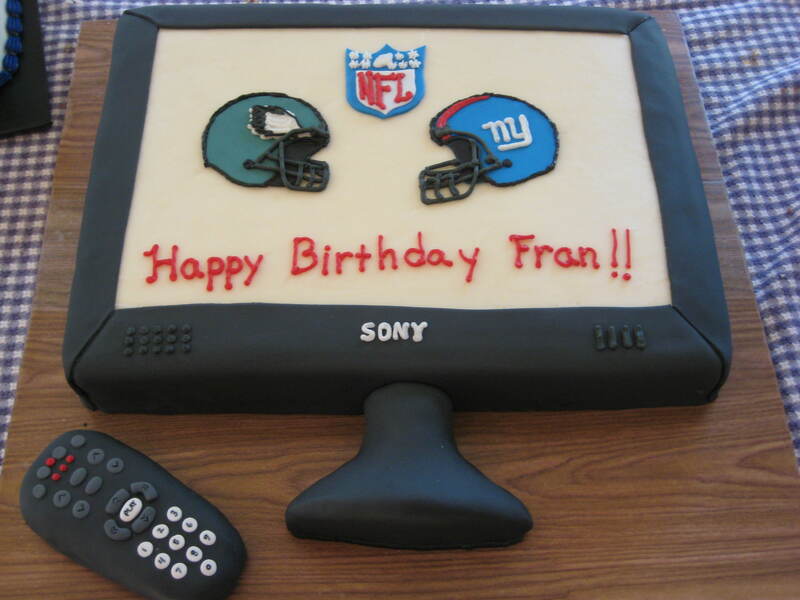 It was the Husbands Birthday so the Wife decided to get him a “Flat Screen TV” but he was only getting it in cake…the real one wasn’t coming for a least a while yet. But she did get tickets to the giants vs Eagles game, Hence the theme. 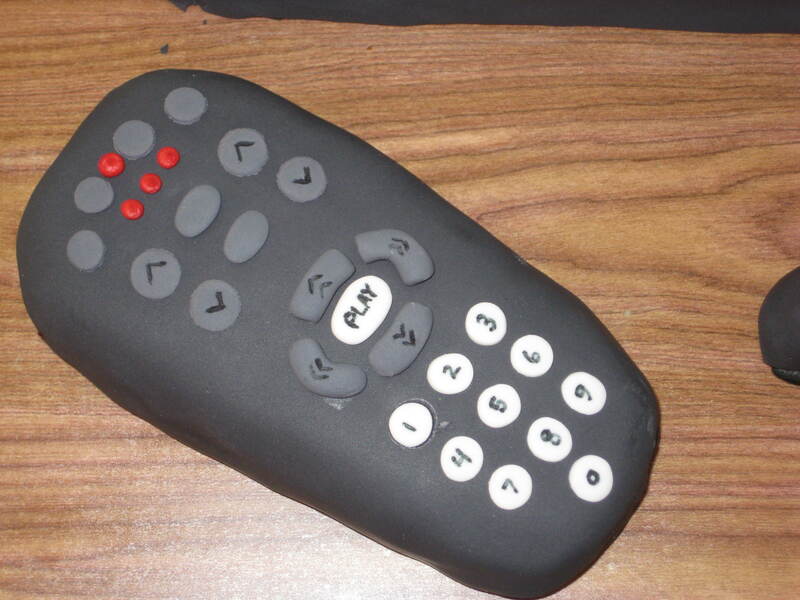 They loved the cake but liked the remote the best!